The ASP Standard is a sustainable alternative to traditional farming practices and organic farming systems. The ASP farming system is a rigorous process compelling growers to actively implement a total soil nutrient and farm management program. Our advanced system brings together the best of modern and traditional farming practices. The basis of the ASP farming system is soil health and fertility. ASP uses a combination of nutritional supplements, soil conditioners, biological cultures and crop/animal residue management techniques to achieve these goals. The outcome is an enhanced biological soil environment and superior plant health, which delivers a nutritionally superior product for consumers. The ASP farming system applies modern farming knowledge and techniques to achieve yield potentials comparable to conventional farming whilst maintaining soil health and integrity for continuous, sustainable production. The ASP farming system enhances the health of soil and plants, diminishing the need for harmful fertilisers and pesticides and considerably reducing chemical exposure to our foods as demanded by consumers. This standard represents a formal system of management to ensure full compliance with the ASP farming system including an exhaustive audit process for full traceability to ensure integrity and accountability to consumers. 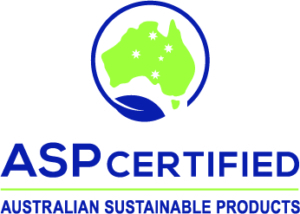 The ASP Certified standard is exclusively reserved for products meeting the highest standards of production and consumer expectations.